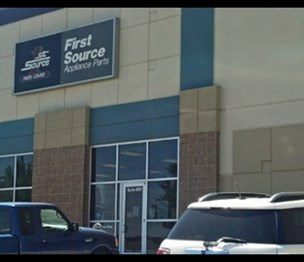 1st Source Servall is your one-stop shop for all of your appliance repair needs. Get the Right Price, Right Part, Right Now! At 1st Source Servall Appliance Parts of Denver, Colorado you'll be sure to find everything you need to repair your appliance. Stop in today and you'll find parts in stock for most major appliances, from almost every brand. Not quite sure what you need? Our knowledgeable staff is always standing by to help you with any questions you may have. They'll help you find exactly what you need for your make and model appliance in no time flat. And if we don't have the part you need in stock in our store, they'll locate it for you in our extensive online inventory with over 5,000,000 parts in-stock nationwide and have it sent directly to you. At 1st Source Servall we pride our company on being one of the largest parts distributors in the nation. We work hard to uphold that reputation, seeking out the parts you need and striving to always offer the highest level of service. Be sure to stop in today to experience the service that we've been providing the Mile High City with for over a decade! Find a wide variety of parts, accessories, tools, and more for: Air Conditioners, Dishwashers, Dryers, Freezers, Furnaces, Garbage Disposals, Humidifiers, Ice Makers, Microwave Ovens, Ranges, Refrigerators, Trash Compactors, Washing Machines, Water Heaters, and more. Install a QR code reading app on your smartphone to scan and convert it to 1st Source Servall Appliance Parts contact information. There are no reviews on 1st Source Servall Appliance Parts yet. According to our records, this business is located at 4900 Osage St, Ste 800 in Denver (in Adams County), Colorado 80221, the location GPS coordinates are: 39.7856475 (latitude), -105.0038404 (longitude). 1st Source Servall Appliance Parts is categorized under Fans, Heating and Ventilation Equipment (SIC code 5722). The company employs approximately 8 people. You can contact the company by phone at (303) 922-5209; the following fax number is also provided: (303) 922-6255. Business website can be accessed at www.1stsourceservall.com. Open from 7:00 am until 5:00 pm (Monday - Friday), from 9:00 am until 1:00 pm (Saturday). We are unable to update our hours in 30 minute increments. Our store is open Monday-Friday 7:30am-5:00pm, and Saturdays from 9:00am-1:00pm. We apologize for any confusion.